At Kahala Coffee Traders, everything starts with our roasted beans. 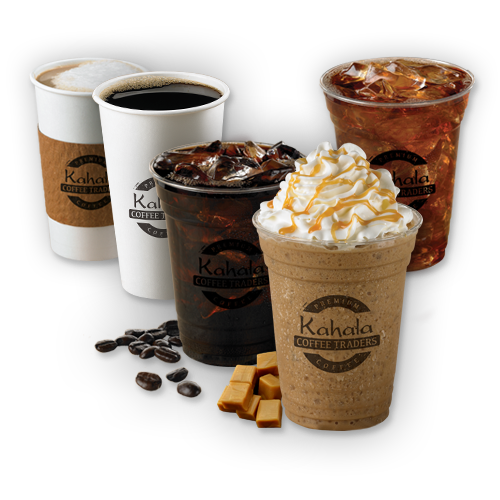 Our coffee and espresso is brewed fresh to create all of our specialty recipes, and we are sure to have your favorite coffee and tea drinks, hot or iced. Explore our menu and share your favorites.